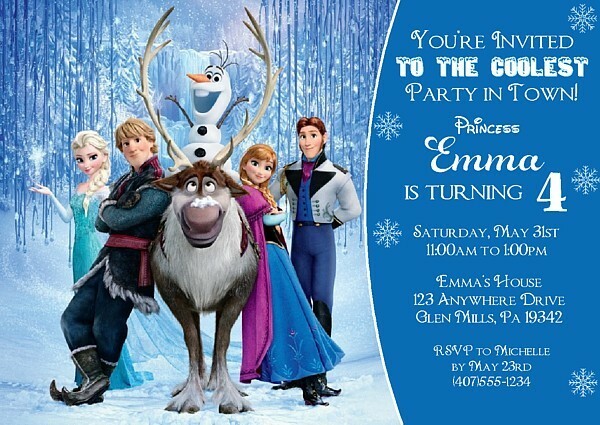 Frozen birthday party invitations. 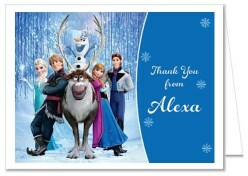 This invitation features characters from the Disney movie Frozen with a blue background. Ideal for a girl's birthday party or can be personalize for a boy's party. These are printed using a high quality laser printer and the finished party invitations are affordable and of outstanding quality!